Get ready for a whole new look into Jeff Kinney's Diary of a Wimpy Kid! Introducing the newest Wimpy Kid author-Rowley Jefferson! Rowley's best friend Greg Heffley has been chronicling his middle-school years in thirteen Diary of a Wimpy Kid journals . . . and counting. Maria Semple’s WHERE’D YOU GO, BERNADETTE. The film, directed by Richard Linklater (Boyhood) starring Cate Blanchett, Billy Crudup, Kristen Wiig, Emma Nelson, James Urbaniak, Judy Greer, Troian Bellisario, Zoe Chao & Laurence Fishburne, will now open in theaters August 9, 2019! COMING SOON. Where'd You Go, Bernadette is based on the runaway bestseller about Bernadette Fox, a Seattle woman who had it all - a loving husband and a brilliant daughter. When she unexpectedly disappears, her family sets off on an exciting adventure to solve the mystery of where she might have gone. Little, Brown’s movie tie-in editions go on sale January 29, 2019. Of course, the iconic trade paperback edition is available now! With more than 480 illustrations, this is the most comprehensive publication to date on one of the greatest painters of the twentieth and early twenty-first centuries, Lucian Freud. Lucian Freud was one of the most significant artists of the twentieth and early twenty-first centuries, and Phaidon is honoured to publish the most complete retrospective of his career to date. 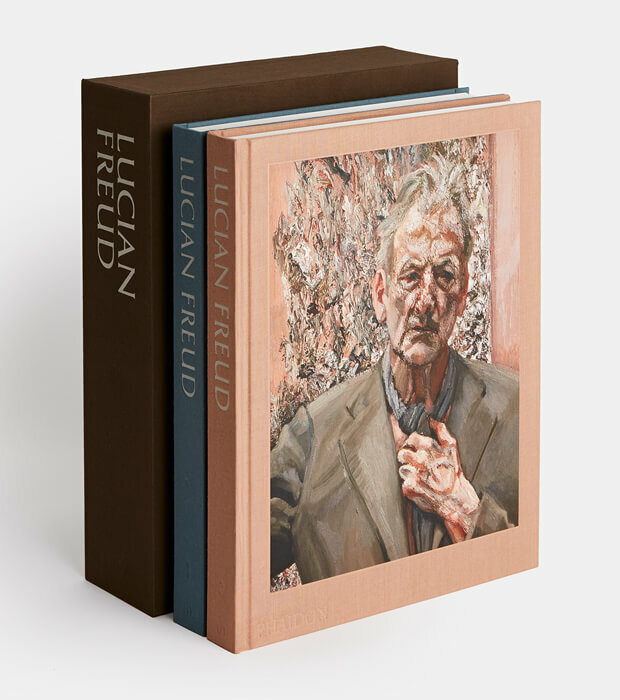 This sumptuous, definitive set is the result of an extraordinary collaboration between David Dawson – Director of the Lucian Freud Archive and for two decades Freud’s assistant, model, and friend – author Martin Gayford, and editor Mark Holborn. Their collaboration has resulted in a book that goes beyond the work to reveal insights into the man himself. Gayford describes Freud’s determination always to tell the truth about what he was recording in paint. He believed in a found beauty, not one that was imagined by an artist and then imposed on his subject. He painted what he saw, in exquisite detail, and he found it beautiful. With more than 480 illustrations, Phaidon celebrates that beauty – evoked in portraits of Freud’s friends and family, his lovers, his neighbours, and others whose looks he liked, from his bookmaker to a bank robber. This is both a vital contribution to art scholarship and a gorgeous addition to the bookshelves of art lovers around the world. This gorgeously produced book features intimate, never-before-published portraits of a young and undiscovered Kate Moss, taken in the early 1990s by her then-boyfriend, Italian photographer Mario Sorrenti. Seen by Calvin Klein, the photographs gave life to the famous Obsession campaign, which launched Moss to international superstardom. Sumptuously reproduced in tritone and presented in a cloth-covered clamshell box, Kate is a stunning photographic portfolio of one of contemporary culture's most iconic figures. It includes tipped-on images on the book and clamshell box's covers, plus an introductory essay by Sorrenti, which puts the work in its uniquely personal context. This book, which celebrates the dawn of two legendary careers, and the start of the highly influential aesthetic of 1990s fashion photography, is a must-have for Kate Moss's fans, for fashion devotees, and for lovers of traditional portraiture and fashion photography. 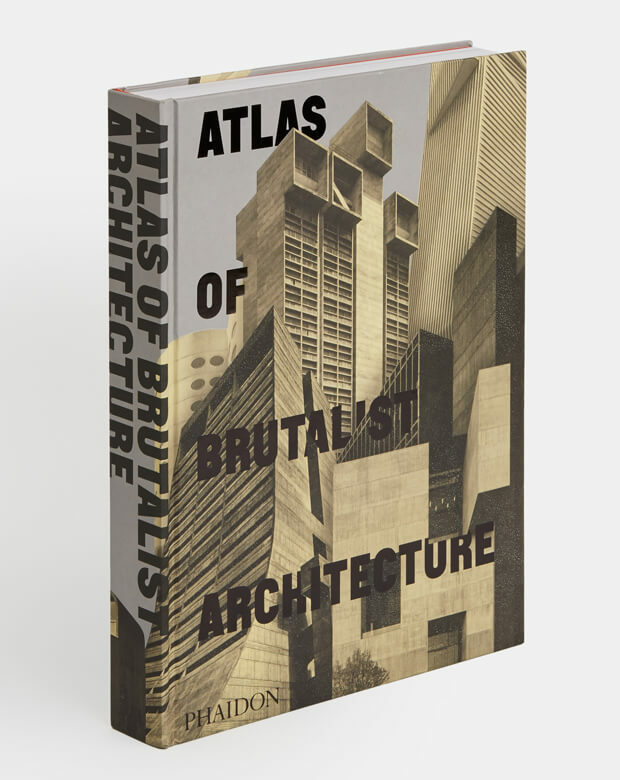 This is the only book to thoroughly document the world's finest examples of Brutalist architecture. More than 850 buildings - existing and demolished, classic and contemporary - are organized geographically into nine continental regions. Presented in an oversized format with a specially bound case with three-dimensional finishes, 1000 beautiful duotone photographs throughout bring the graphic strength, emotional power, and compelling architectural presence of Brutalism to life. From 20th century masters to contemporary architects, much-loved masterpieces in the UK and USA sit alongside lesser-known examples in Europe, Asia, Australia, and beyond - 102 countries in all. Twentieth-century masters included in the book: Marcel Breuer, Lina Bo Bardi, Le Corbusier, Carlo Scarpa, Ernö Goldfinger, Frank Lloyd Wright, Louis Kahn, Oscar Niemeyer, and Paul Rudolph. Contemporary architects featured include Peter Zumthor, Alvaro Siza, Coop Himmelb(l)au, David Chipperfield, Diller and Scofidio, Herzog & de Meuron, Jean Nouvel, SANAA, OMA, Renzo Piano, Tadao Ando, and Zaha Hadid. From the publisher of This Brutal World. 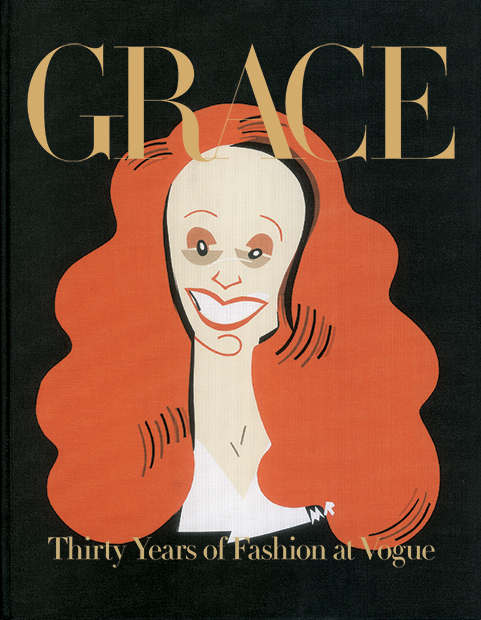 Grace: Thirty Years of Fashion at Vogue showcases some of the most memorable photographs published in British and American Vogue from 1972 to 2002, stories created by the iconic fashion editor Grace Coddington. Both monograph and memoir, the book shows how Coddington transformed static studio portraiture into modern vivid tableaux and turned location shoots into cinematic narratives. Grace's commentary gives behind-the-scenes insight into many famous images and fashion personalities, from the iconic shoot of a bikinied Naomi Campbell in Irving Penn's studio to Steven Meisel's boundary-pushing grunge aesthetic in nineties Vogue. This volume features photography by Irving Penn, Helmut Newton, Cecil Beaton, Guy Bourdin, Mario Testino, Steven Meisel, Annie Leibovitz, Steven Klein, Peter Lindbergh, among others. First published in 2002 and reissued by Phaidon in 2015 to great success, this paperback, midi-sized edition includes forewords by fashion designer Karl Lagerfeld and American Vogue editor-in-chief Anna Wintour. Watch the hilarious book trailer for Sterling Publishing's awesome kid's book ANIMAL GAS (9781454916161) written and illustrated by Bryan Ballinger. Every kid knows that nothing's funnier than a fart joke. And it's also a universal truth (and mysterious fact) that people don't mind the smell of their own farts. Animal Gas explores this hilarious concept through a parade of animals who describe why they don't think their own farts stink—against the truth about how they REALLY smell! Next month, The Diary of the Wimpy Kid: The Long Haul (9781419711893) will be lining bookshelves across the country. Check out Abrams Books first exclusive book trailer below to find out what happens to Greg and his family. Want to know more? Don't fret! From now until November 4th, Abrams Books and Jeff Kinney will release a new trailer on www.youtube.com/WimpyKid! A family road trip is supposed to be a lot of fun . . . unless, of course, you’re the Heffleys. The journey starts off full of promise, then quickly takes several wrong turns. Gas station bathrooms, crazed seagulls, a fender bender, and a runaway pig—not exactly Greg Heffley’s idea of a good time. But even the worst road trip can turn into an adventure—and this is one the Heffleys won’t soon forget. Jeff Kinney is a #1New York Times bestselling author and four-time Nickelodeon Kids’ Choice Award winner for Favorite Book. Jeff has been named one of Time magazine’s 100 Most Influential People in the World. He is also the creator of Poptropica, which was named one of Time magazine’s 50 Best Websites. He spent his childhood in the Washington, D.C., area and moved to New England in 1995. Jeff lives with his wife and two sons in southern Massachusetts, where he is opening a bookstore. Tim’s Vermeer is now showing until Thursday at TIFF Bell Lightbox thanks to Mongrel Media. It’s a film with a pretty interesting concept. It follows Inventor Tim Jenison on his journey to understand how Vermeer was able to paint with such realism. For a better synopsis, I encourage you to watch the trailer below. I can almost guarantee you’ll be fascinated. A good place to start is with Vermeer: The Complete Paintings from Abrams. This book, which is a survey of all of Vermeer’s works, will help a reader familiarize themselves with the artist’s catalog immediately. 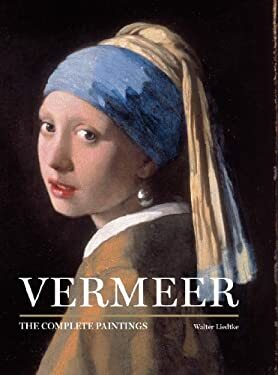 Next, let's jump to Masters of Art: Vermeer from Prestel Publishing, the perfect read to help us understand the more intricate portions of Vermeer’s works. This book offers full-page spreads of masterpieces as well as highlights of smaller details--allowing the viewer to appreciate every aspect of the artist's technique and oeuvre. Tell me that doesn't sound like a great way to understand the method of our favorite dutch master. Finally, now that we know all about Vermeer’s work and technique, we can follow in Tim Jenison’s footsteps and create masterpieces of our own. 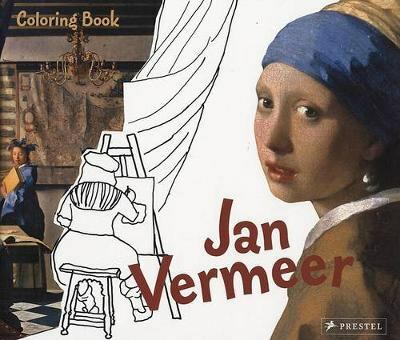 Of course, I’ll have a copy of Colouring Book Jan Vermeer from Prestel to help me in my endeavor. After all, not all of us can be masters! If you are interested in seeing Tim’s Vermeer click here for show times. Happy painting! To celebrate the paperback the release of Lauren Beukes' time travel serial killer novel THE SHINING GIRLS (Hachette Book Group | Little Brown), artists Sam Wilson and Adam Hill have created a spectacularly illustrated time traveling chart. Originally posted on i09.com, the chart helpfully explains the various time traveling models used in recent pop culture movies as well as in The Shining Girls. Check it out below and then visit i09.com for more from Beukes on cosmic strings, worm holes, and Greek tragedies. Physical Dimensions: 5-1/2" x 8-1/4"
The girls who wouldn't die hunts the killer who shouldn't exist.The future is not as loud as war, but it is relentless. It has a terrible fury all its own." Harper Curtis is a killer who stepped out of the past. Kirby Mazrachi is the girl who was never meant to have a future.Kirby is the last shining girl, one of the bright young women, burning with potential, whose lives Harper is destined to snuff out after he stumbles on a House in Depression-era Chicago that opens on to other times. At the urging of the House, Harper inserts himself into the lives of the shining girls, waiting for the perfect moment to strike. He's the ultimate hunter, vanishing into another time after each murder, untraceable-until one of his victims survives. Determined to bring her would-be killer to justice, Kirby joins the Chicago Sun-Times to work with the ex-homicide reporter, Dan Velasquez, who covered her case. Soon Kirby finds herself closing in on the impossible truth . . . The Shining Girls is a masterful twist on the serial killer tale: a violent quantum leap featuring a memorable and appealing heroine in pursuit of a deadly criminal. Disney Author Greg Pizzoli Wins 2014 Theodor Seuss Geisel Award! On Friday, January 31st, Publishers Weekly announced that The Watermelon Seed, written and illustrated by Disney Hyperion Books author Greg Pizzoli, has won the coveted and highly respected THEODOR SEUSS GEISEL AWARD! The Theodor Seuss Geisel Award (a.k.a. the Dr. Seuss award) is given annually to the author(s) and illustrator(s) of the most distinguished book for beginning readers published in English in the United States during the preceding year. The winner(s), recognized for their literary and artistic achievements that demonstrate creativity and imagination to engage children in reading, receives a bronze medal. Honor Book authors and illustrators receive certificates, which are presented at the ALA Annual Conference. The award was established in 2004 and first presented in 2006. For more information, please visit http://www.ala.org/alsc/awardsgrants/bookmedia/geiselaward/geiselabout. With perfect comic pacing, Greg Pizzoli introduces us to one funny crocodile who has one big fear: swallowing a watermelon seed. What will he do when his greatest fear is realized? Will vines sprout out his ears? Will his skin turn pink? This crocodile has a wild imagination that kids will love. With bold color and beautiful sense of design, Greg Pizzoli’s picture book debut takes this familiar childhood worry and gives us a true gem in the vein of I Want My Hat Back and Not a Box. At the start of the New Year there is a significant amount of pressure and expectation from books, magazines, blog posts, newspapers and, perhaps, even from your most helpful (not HELPFUL) friend to lose ____ amount of weight in ____ amount of days. And, don’t get us wrong, we appreciate the reminder because we have been eating an impressively unhealthy amount of sweet, buttery, fatty foods for two blissful weeks. But, sometimes it's is difficult to get motivated when all you want to do is curl up into your snuggie and watch bad reruns of your favourite 90's television show. Luckily, the beautiful Abrams book EATING IN COLOR has arrived just in time to help ease us back into a healthy and clean lifestyle. 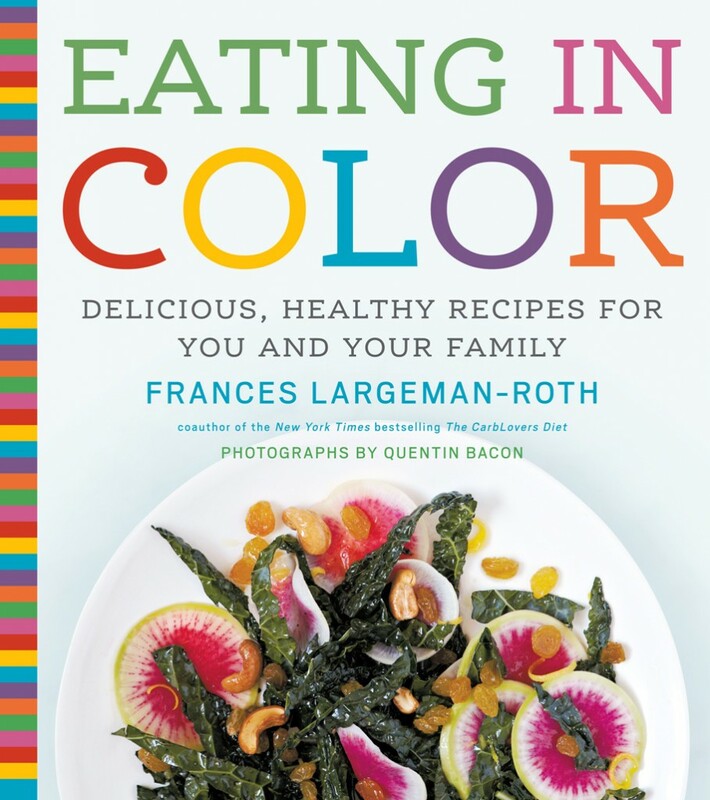 In EATING IN COLOR, registered dietitian and bestselling author Frances Largeman-Roth offers home cooks an easy, fun plan for utilizing the color spectrum to bring more vividly hued food to the table. From deep green kale to vermilion beets, Eating in Color showcases vibrant, delicious foods that have been shown to reduce the risk of heart disease and stroke, some cancers, diabetes, and obesity. Avocados, tomatoes, farro, blueberries, and more shine in stunning photographs of 90 color-coded, family-friendly recipes, ranging from Caramelized Red Onion and Fig Pizza to Cran-Apple Tarte Tatin. Clear preparation instructions and nutritional information make this an essential resource for eating well while eating healthy (read more at abramsbooks.com). What better way to start the new year than with a gorgeous cookbook that gently encourages healthy eating without the pressure of losing weight. Sounds perfect to us! If you're really wild about Ian, come to one of his many events occurring across the country in the next couple of months. Visit http://www.ianrankin.net for more details. “Rose dreamed of her baby every night . . . She couldn't wait to share hugs and giggles.” A mother's love comes from the heart, from the desire to embrace and nurture a child—whether or not she gave birth to that baby. This poetic and magical parable celebrates the richness of family as Rose and Charlie embark on the search for the child they so desperately want. As Rose's dream gets closer to coming true, her heart grows and grows . . . until it bursts with happiness, laughter, and wonder when she finally kisses the beautiful face of her new baby. First time author Berta Serrano and her brother Alfonso Serrano are the author-illustrator team behind this warm and quirky love letter for Berta's adopted son. COUNTDOWN: Our Last, Best Hope for a Future on Earth? I don’t read mysteries. I don’t read thrillers. Years ago, I managed a bookshop. Part of my job involved running the mystery book club. I think my bosses added that task out of a sense of epic Schadenfreude because they knew that I would read just about anything BUT a mystery. My inability to read the genre comes, not from a sense of snobbery, but because I’m a giant ‘fraidy cat. I always understood Joey’s need to put books in the freezer on Friends - http://www.youtube.com/watch?v=-qqaCby1lGw. A few months ago, I attempted to read The Shining Girls (Lauren Beukes, Mulholland Books 9780316216852). I made it to page 60, at which point I was so terrified of the time traveling serial killer appearing in my bedroom while I was gone that I couldn’t get up to pee. True story. All this to say, reading Precious Thing (Colette McBeth, Headline Books, 9781472205940) was a major stretch for me. And I loved every minute! The story of the friendship between Clara and Rachel, as told from Rachel’s point of view, gripped me in a way I didn’t expect. This is one of those ‘stay up until 3 am’ kind of books. You just want to read one more chapter. Just one. Well, maybe just one more. And then another. As their story unfolds, as you start to question what you’re reading, you’re pulled even deeper into the obsessive and dangerous dance between two very troubled girls sharing secrets you just don’t see coming. About a third of the way through, the penny started dropping for me and a cold sense of dread began creeping. Everything I believed up to that point wasn’t quite right. And everything that followed? Well, just go read it. Trust me. There is a tendency in selling books to make comparisons to what’s come before. Precious Thing has been called the British Gone Girl. Not having read Gone Girl, I can’t comment on that, except to say, I think this stands on its own. Colette McBeth doesn’t need the comparison for you to pick up Precious Thing. I was hooked from the last sentence of the first page. And I’m still waiting for an answer to my question about the third line on the last page. If you’re like me, if you don’t read thrillers, you don’t read mysteries, make an exception this time. And make sure you have lots of coffee on-hand for the morning, because I promise some late nights reading just one more chapter. Ever had a cat? Ever known a person who had a cat? Ever lost three hours of your life petting a cat? Ever blown off your friends because you were 'busy', but you were actually watching cat videos online? Well then you're going to LOVE Michael Showalter's new book GUYS CAN BE CAT LADIES TOO (9781419706905), published by Abrams Books. To celebrate the publication of Showalter's hilarious guide, he has created a cat "how to" web series. What is a cat "how to" video you might ask? Like the book, the episodes (four in total) will help men understand, bond, respect and appreciate the felines in their lives. Each episode will focus on a specific technique such as the right way to pick up a cat. We have the first one here! Check out the rest on Abrams Youtube Channel: http://www.youtube.com/user/abramsbooks?feature=watch. Michael Showalter’s Guys Can Be Cat Ladies Too is the hilarious all-access guide to help a man comprehend, appreciate, and bond with the felines in his life. They say dogs are a man’s best friend. True! But what if that man’s girlfriend/boyfriend, wife/husband, or mother-in-law has a cat? Is that the end for him? Is he resigned to an eternity of estrangement from this furry creature with which he shares his life partner, his favorite chair, and his sock drawer? Showalter offers hope for men everywhere in their quest to understand and love cats. In this intimate portrait of one man’s love for cats, you will learn the answers to burning questions such as: “Why are they all aloof and weird and stuff?”; “They hate me, right?”; and “Is it true that they have nine lives?” Armed with these and countless other valuable lessons, by the book’s end any guy can be on the fast track to becoming a cat’s best friend. David Sedaris on the Big Screen? So many jokes start ... so a guy walked into a bar. This one starts ... so David Sedaris walked into our Manda office. It was a few months ago while on his book tour for Let's Explore Diabetes with Owls. I was so ready to be disappointed; his books and New Yorker short stories always made me laugh so hard I cried and I just couldn't fathom of a writer being as funny in the flesh as they were on the page. Luckily, I was crying the entire time he was here - whether due to his insults or his dry humor even I'm not entirely sure. He threatened to make one of the straight men in our office cut his meat. Then he complained that he hadn't brought his lunch and didn't see any straight men. He did his go to - asking if any of us were smokers so he could reward those of us who were with priority signing. He explained this strange behavior by noting that the smokers among us were going to die sooner so their time should be seen as more precious. Then he proceeded to sign our books, each one customized. What you should know is that David Sedaris likes to draw - there was a line drawing of a fetus for our pregnant coworker, and a picture of a bloody dagger for Mark ... Enough said. And so, when I discovered that one of David Sedaris' stories, C.O.G. from his book Naked was going to become a feature film I was elated. Then I discovered that David Sedaris would be played by none other then the same actor who plays Jesse Saint James, the singing & dancing sensation from Glee. I'm curious to see if Jonathan Groff can do justice to the ever effervescent, sometimes self-deprecating and always sarcastic David Sedaris! Perhaps Jonathan can graduate from Gleekdom, and draw on his Broadway roots to become the precocious teenage Sedaris and maybe he can't. Either way it'll be something worth watching! If it were the other way around and David Sedaris was playing the triple threat Groff, then there really would be something to laugh about - David in Broadway tights and David singing love songs to Rachel on Glee both seem equally ridiculous and hilarious. DIARY OF A WIMPY KID: HARD LUCK | Cover Reveal & Book Tour! It’s Hard Luck being a Wimpy Kid! 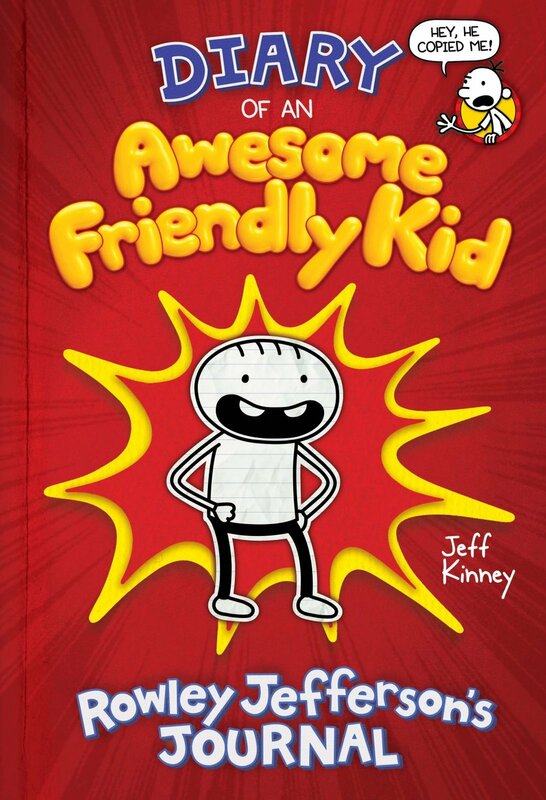 the 8th book in the #1 bestselling series by Jeff Kinney, on sale 11.5.13! Promotions for Hard Luck begin today as an authorless nationwide Hard Luck Truck Tour rolls out. The first stop is a special cover reveal event at Six Flags Great Adventure theme park in New Jersey, to be followed by a 3 month, 50 city, 150 stop tour that includes stops in TORONTO, KINGSTON, BELLVILLE, & MONTREAL August 17-19th! At each stop, fans are treated to free photos and Wimpy Kid goodies, and they can preorder book 8 and purchase favorite backlist titles. Fans can see if the truck will be in their neighborhood by visiting wimpykid.com. Greg decides to take a leap of faith and turn his decisions over to chance. Will a roll of the dice turn things around, or is Greg’s life destined to be just another hard-luck story? Go to www.wimpykid.com/wimpykid8 to download Hard Luck wallpaper! Tana lives in a world where walled cities called Coldtowns exist. In them, quarantined monsters and humans mingle in a decadently bloody mix of predator and prey. The only problem is, once you pass through Coldtown's gates, you can never leave. The Coldest Girl in Coldtown is a wholly original story of rage and revenge, of guilt and horror, and of love and loathing from bestselling and acclaimed author Holly Black. 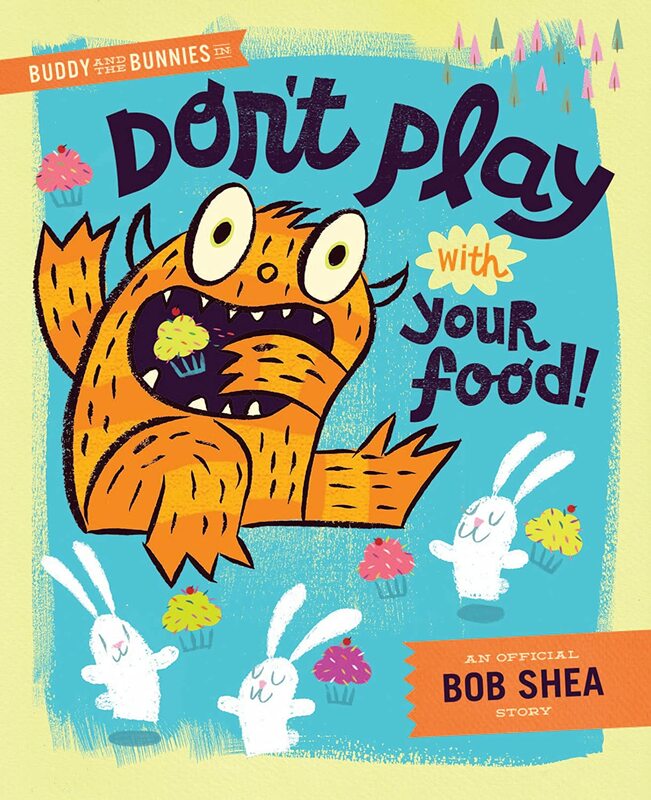 Check out the hilarious book trailers for UNICORN THINKS HE'S PRETTY GREAT (9781423159520) by Bob Shea, the author-illustrator of the popular Dinosaur vs. series and Don't Play with Your Food (9781423168072). Publisher Weekly "It’s a great study in grass-is-greener envy management and a nonstop giggle generator." Synopsis Ever since Unicorn moved into the neighborhood, Goat has been feeling out of sorts. Goat thought his bike was cool-until he saw that Unicorn could fly to school! Goat made marshmallow squares that almost came out right, but Unicorn made it rain cupcakes! Unicorn is such a show-off, how can Goat compete? When Goat and Unicorn share a piece of pizza, Goat learns that being a unicorn might not be all it's cracked up to be. And when Unicorn shows his admiration for Goat, it looks like the beginning of a beautiful friendship. About the Author Bob Shea (www.bobshea.com) is the author-illustrator of four Dinosaur vs books, and many other picture books, including I'm a Shark (Balzer and Bray). He also wrote Big Plans, illustrated by Lane Smith. Dinosaur was inspired by his son, Ryan. Bob is an eager and talented promoter of his books. He has his own graphic design company and lives in Connecticut. All Eoin Colfer fans mourning the end of the Artemis Fowl Series take note: there is new game in town in the form of Colfer's series WARP, and more specifically in the shape of a young Victorian boy named Riley. Chassed through time and space all the way to the 21st century by a deadly assassin, Riley is forced to team up with Chevie, an FBI covert agent for the Witness Anonymous Relocation Program in an attempt to save the world as we know it ... and maybe his own hide too. Watch the trailer for the first book Warp: The Reluctant Assassin! You'll be instantaneously hooked. I'm always interested in a good alien story and, coming up in May, it looks like we're going to have a really amazing YA title that might be the next great humans vs. aliens tale. Margaret Stohl, #1 best-selling co-author of the Caster Chronicles series (aka Beautiful Creatures), has a new book coming out called Icons (9780316205184, Little Brown). Take a look at the great teaser-trailer for a hint of what to expect. Your heart beats only with their permission. Look for Icons in May, 2013. I will be!